The latest iteration of CCID’s “Global Public Blockchain Technology Assessment Index” ranks EOS as the number one project, followed by TRON, Ethereum and BitShares. Bitcoin comes in at number 15. “Hallelujah! The Chinese government says my bags are as good as gold! Justin Sun really is the messiah!” To the moon. Epic lambo time. Real millionaire hours. The sentiment and response to these rankings is generally something along these lines (think I’m making this up? Just check Twitter). 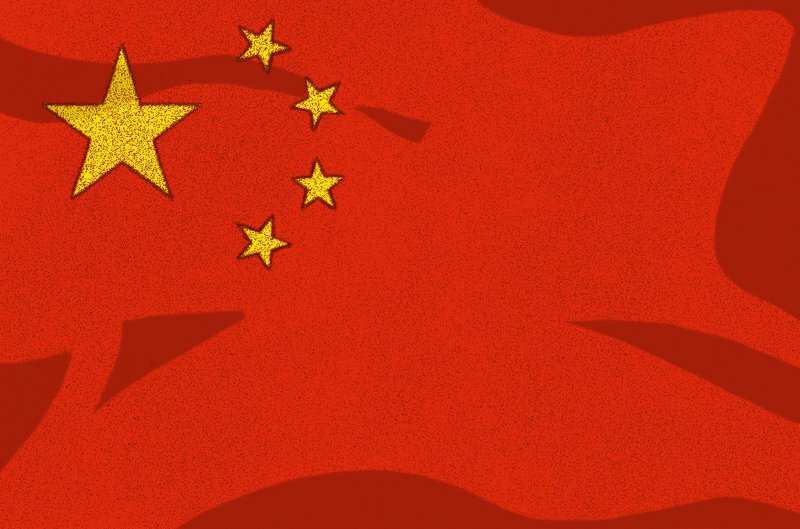 Why the Chinese government’s apparent stamp of approval is a plus to these people is lost on me — this is the same country that has banned over-the-counter (OTC) cryptocurrency exchanges and has a generally hardline stance against cryptocurrencies. But not to worry because, again, the ratings aren’t really coming from the Chinese government but from an independent ratings agency affiliated with the Chinese Ministry of Industry and Information Technology. Still, whether a government or private entity, the source of the information doesn’t change the underlying point: these ratings (and the projects they tout) are a worthless assessment of the crypto industry’s frontrunning assets. This isn’t the first time that CCID has released cryptocurrency ratings and, by extension, it’s not the first time that these have been erroneously attributed to the Chinese government. Perhaps the name CCID looks stately and official to some readers, but Primitive co-founder Dovey Wan told me that this is the unofficial English name for the institute. In Mandarin, the company’s name (“赛迪,” which translates to “SadiiWang”) has no reference to China in it. Saying that the CCID is “under” or “backed by” China’s Ministry of Industry and Information Technology is not inaccurate, it is a misinterpretation and misrepresentation. Reporting that this support means that all of the institute's research is straight from the government’s mouth would be akin to saying that scientific research funded by U.S. government grants are the product of the U.S. Office of Science. One glance at CCID’s Baidu Baike page (what amounts to China’s wiki) and it’s clear that the company is an independent media and IT consultant firm. Even if the rankings were “more official,” it’d be hard to take them any more seriously. But since they aren’t official, we’ll focus on why we should take them less seriously. For one, “CCID's services are opt-in. They don't rank everyone, which seriously throws into question the integrity of the ratings system,” Yorke told me. He knows this because he asked the team at VeChain, a Chinese blockchain project which he has close ties to, why it wasn’t included and it said that it decided not to take part. This opt-in model also raises questions about the rank of many companies in the top 10. How, for example, could a project that has never been on the rankings before suddenly make an appearance in the top five? I think it probably started playing ball. And given the open prevalence of bribery in many Chinese business practices, it’s possible to speculate that some form of pay to play was part of the process. “It’s hard to verify, but this is China — paying for favors is pretty run of the mill here. I would be shocked if they didn't have deals in place with some of the projects on the list,” Yorke told me when I asked if my assumption was fair. At any rate, given the opt-in nature of these ratings, it should come as no surprise, then, to see that six out of the top 10 projects are predominantly Chinese — a Chinese company showing some indications of favoritism toward its compatriots. And this is getting to the crux of it. If these ratings were evaluating the robustness, security, decentralization and value of a public chain — tenets that many in the community would uphold as positives for what would give a blockchain its underlying value — there’s no reason why bitcoin should be 15th behind a slew of dubious competitors. Why Are These Rankings Dubious? Critics would point out that TRON has been accused of plagiarizing its white paper while its founder, Justin Sun, is notorious for throwing money around to hype the project (including during a botched Twitter giveaway); EOS ran a year-long ICO that netted $1 billion in contributions but, to date, can be seen as little more than a “glorified cloud server” (which is hardly decentralized); NEO, like TRON and EOS, isn’t decentralized either and relies on the NEO foundation largely for project development; and Steem’s token supply was subject to a staggering 80 percent pre-mine (!). As for the rest, the list is populated by projects that most people outside of the shitcoin speculator milieu have never heard of, like NULS, Ontology and GX Chain. The bottom line: these projects are judged on criteria (like “creativity”) that have little to do with what many cypherpunks and cryptographers would deem valuable when examining the value of a public chain. While “Basic-tech” [sic] and “Applicability” are also among these criteria, there’s no rationale given behind what makes most of these projects superior or even relevant in the category of public blockchains. How, for example, can you praise the underlying technology of some of these projects as being the best in the blockchain industry when centralized ones like EOS, TRON and NEO can hardly be considered blockchains at all? All in all, we can hardly trust these ratings to be objective or even professionally curated. It’s the same problem that people have with Weiss Ratings’ own cryptocurrency grades. In its latest iteration, Weiss gave EOS, XRP and Bitcoin the top three spots, respectively. The discrepancy (besides EOS) between the two lists alone should be enough to dismiss these lists as ill-informed and, really, a reckless strategy for evaluating investments. Why would we listen to people who have no experience in cryptography telling us which cryptocurrency is the best investment? Unfortunately, the practice of rating investments is deeply embedded in the current financial system, so it was more or less inevitable for this to seep into the crypto industry as well. Suffice it to say, the hazards are all the same and the writing has long been on the wall for the dangers that this practice represents. Case in point: the triple-A-rated securities and debt instruments that were ranked by credit ratings agencies played a big role in the Great Recession and the 2008-2009 subprime mortgage crisis. Satoshi built Bitcoin to escape these structures, not to replicate them. So if you want my two sats, don’t pay these ratings any mind and if they affirm your crypto biases, it might be constructive to look elsewhere to evaluate your investments. Because these rankings are not coming from the Chinese government (and it wouldn’t matter even if they did) and they sure aren’t coming from legacy institutions who didn’t care about bitcoin until it hit $20,000.